We help you settle divorce disputes outside of court! Save Time, Headache and Money! Click here for Oklahoma Divorce FAQ’s! Our goal is to simplify the process in Oklahoma and eliminate unnecessary legal fees by making the process cheaper and less time consuming! Traditionally, the process in Oklahoma can cost thousands of dollars. Why break the bank if you don’t have to? Let us show you a better way! We eliminate massive costs by simplifying the process through various principals and techniques. Tensions are high. The first thing we are going to do is remove the people from the problem. We want to focus on problems, not people. 3. Mediation Use a mediator to help you settle any disagreements so you can avoid expensive divorce court! Click for Mediation. A dissolution of marriage with children in Oklahoma typically costs around $18,700.00 on average when it is contested. At Express Documents and Mediation, Inc., we help couples agree on the conditions of their separation so that they can get an uncontested process with children or without children. An Uncontested situation significantly reduces the cost of legal fees spent in Oklahoma! 1. Help the parties to simplify their agreement. 2. Draft all necessary documents they need to file their divorce forms at the court house in their county. We cover all the bases; custody, visitation, child support, property, debt, retirement, assets, and any other area which may be important to the parties. We have been in business almost eight years! Every year we save the State of Oklahoma millions of dollars in legal fees! These savings alone helps our local economy. Additionally, it enables families to heal quicker and makes the divide after a dissolution of marriage much smaller than what would happen in a typically heated court battle. Keeping the process peaceful is of particular importance when minor children are involved! Whether you need a divorce in Oklahoma City or an Uncontested Divorce in Tulsa, we have you covered no matter where you live in Oklahoma! How do I get a Cheap Divorce in Oklahoma? Step One. Determine exactly what you would like to ask for in the divorce. The cheap divorce option is what 99% of our customers take. If it is too complicated, we will let you know up front. Just for speaking with us, we have options to get you representation at reduced costs with our relationships in the legal industry. Step Two. Make a list of all household items and joint property that need to be divided between the parties of the divorce. Even if you do not not know exactly what the other party will agree to, build the list to your best judgement. We can negotiate it later. Step Three. Bring our Mediation Team your lists of desired property and debt settlement. We will discuss the process with you so that we can help you make the whole case simple. We hate complicated! Step Four. Begin drafting documents so that you can file at the County Court Clerk where you live. Step Five. Deliver documents to other spouse for their review. Step Six. If all things are agreeable, continue filing process. If not, then we will help you negotiate the terms of agreement with your spouse. How do I file for Uncontested Divorce in Oklahoma? Answer. Schedule an appointment with our Mediation Staff to see if you qualify for a simple, cheap uncontested situation. If you do, we will coach you through the entire Uncontested Process. To learn more, read the article “How to file for divorce in Oklahoma without a lawyer – 4-step Process.” This article will show you step by step what is require to file an Uncontested Divorce yourself. We are a Family and Divorce Mediation Practice. We utilize the practice of Divorce Mediation to settle divorce disputes outside of court, without the need to hire expensive divorce lawyers in Oklahoma City, Norman, Moore, or Edmond. We help people divorcing in all 77 Counties in Oklahoma. Founded in 2008, EXPDM has helped thousands of residents in the State of Oklahoma successfully complete Pro Se divorces, which is Latin and means “For Self.” When divorce tensions get high, we utilize unique processes in the areas of “Alternate Dispute Resolution” and “Divorce Mediation” to settle tough disputes. Our offices are poised and ready to help you anytime you need it. From the initial appointment to the final court date, and even post-divorce. We are here to help! Even if it’s not an Agreed Divorce, we can help you reach an agreement! Our goal is amicable agreement. Why fight when the goal is peace? When parties agree in Mediation, they have a higher success rate of following their Decree after seeing the judge, versus having to abide by strict Orders from a Judge that they can’t agree to. Our processes allow the parties to make their own decisions and avoid difficult and disagreeable stipulations. Why choose Express Documents & Mediation? There are tons of options out there! From divorce attorneys to paralegals. Why are we different? Everybody wants the low-cost divorce option that is popular with Uncontested cases. No one wants to pay $8,000.00 for a divorce in Oklahoma! Unfortunately, not everyone has a true Uncontested dispute. With our Dispute Resolution Process, we can mediate the disagreements and potentially avoid a nasty Contested Court Battle! We have developed some of the best methods for settling family disputes. Our processes are unique to us. They have been tried and tested for over 8 years! There are many ways to start a dissolution of marriage. We use exclusive-to-us techniques that combine passion and experience to provide a not-so-nuclear method to dissolve an otherwise heated fight! READY TO SETTLE FOR LESS? CLICK THE BUTTON TO SCHEDULE A FREE CONSULTATION WITH US! If you live in any of the 77 counties in the beautiful State of Oklahoma, we can help you out! We have serviced couples in every county and usually know what each court expects to see in your Decree! Our Oklahoma City option is not limited to the OKC Metro area! We serve the following counties in Oklahoma! Cheap affordable divorce in Oklahoma options. We assist people seeking a divorce in Oklahoma with assistance in Divorce Mediation and Uncontested Divorce. We service all 77 counties in the State of Oklahoma. 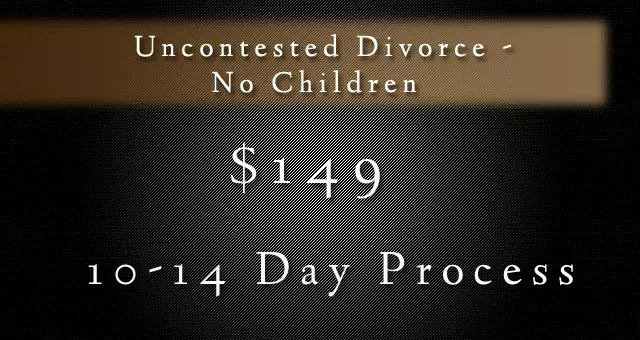 Divorce in Oklahoma starts at $149 with Express Documents and Mediation, Inc.